Bamboo belongs to the grass family and although it is known to be one of the fastest growing plants in the world. According to the Guinness World Records (http://www.guinnessworldrecords.com/world-records/fastest-growing-plant/), the fasting Bamboo plant grew up to 91 cm or about 31 inches per day, however, the rate of growth is also dependent species, the local soil and climatic conditions. Most Bamboo plants grow between 3 –10 cm (1.2–3.9 in) per day. For centuries Bamboo has been used in many forms. It is thought to have originated from China and around 1600 – 1046 BC at the time of the Shang Dynasty weapons such as Bows and arrows were made from Bamboo. 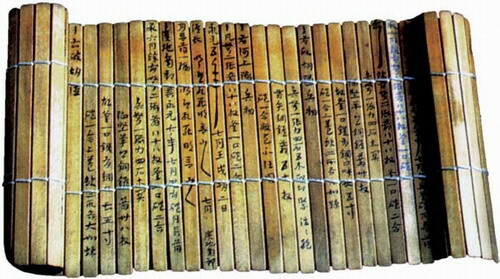 Paper had not been invented during this period of time as so Bamboo was used as the writing medium. Bamboo still has many cultural associations to this day. Bamboo is one of the most Eco-friendly plants in the world quick growing, water conserving plant. No need for pesticides, fertilizers or insecticides for its growth and protection as it is naturally pest –resistant. Bamboo is much softer and better than Cotton or Lycra. Antibacterial, anti-fungal to make it odor resistant. Hypoallergenic – the fiber in bamboo is a great option for those with sensitive skin and allergies which are much gentler compared to those irritating fibers that are man-made. Moisture-wicking and breathable that keeps you dry. Thermo-regulating regardless of the weather that will keep you warm in winter, cool in summer and give you the comfort your body needs. The versatility of bamboo makes it perfect to use in many forms for the home and for you. Below you will find just some of the apparel for your benefit. For further details on any of the choices below just click on the images which will show you more that can be of major benefits to you or your family. Anti-fungal, breathable and moisture-wicking to give you that added comfort all day be in business, home or physical activities. Enjoy the breathable comfort that will feel soft to the skin yet knowing its odor resisting and anti-fungal properties will help along the day. Great styles and excellent that can be worn and giving you the comfort all day be it at home, work or play. What can we say? Bubs need not only our attention to getting them through the day so why not rest a bit knowing that they wearing clothes that are soft to their skin yet provides the warmth during those cooler days and coolness in those warmer days. Breathable, anti-bacterial and hypoallergenic fabric that is free from toxins. Wouldn’t it be nice that after a long hard day that you could just fall in bed knowing that the sheets are hypoallergenic that won’t irritate your skin is pesticide free fiber and having the feeling of silk on your skin without the added expense? Well, here it is which is also vegan-friendly that is soft, breathable, and pesticide-free. Plus it is not chemically bleached but made with only natural non-toxic dyes. This Bamboo sheets will certainly help to keep that warmth during the colder days while it temperature regulating properties will help to stay cool in the warmer days. Better than the plastic types which become of the unwanted and polluting landfill that doesn’t break down. Another great product to help the environment that is biodegradable Brushes are available in small, medium or large ideal when traveling without the bulk but with the benefits of knowing the bristles made from bamboo will help glide through the hair, making De-tangling so much easier not to mentions giving yourself a gentle massage to the scalp. So now you have seen some of the uses and benefits of using Bamboo in Clothing now the rest is up to you. Would you prefer clothing that is odor resistant, Anti-fungal, and Anti-bacterial or ones that allow bacteria to reside and allows odor builds up during the day? Do you want clothing that is soft and comfortable to wear and doesn’t stick to the body? How about the little treasure would you love to know that not only will give your baby the comfort all day but due to the thermo-regulating fabric will help to cool them in the warmer months and warmer in the colder months as well? Do you prefer to see increased landfill that isn’t biodegradable thus polluting the lands or would you prefer to have a product that is biodegradable, Eco-friendly to the environment and the world? Did you know that Bamboo produces more 30% more oxygen into the world than trees covering the same area? Would you feel at ease knowing that no fertilizer, pesticides are needed for Bamboo to grow? The clothes are not toxic and chemical free does that give you some ease with what you are wearing next to your skin. Well if you want some or all of the reasons above and want to gain those benefits for you then having Bamboo in clothing is right for you. I would love to hear about your experiences with any of the Bamboo products you may have purchased above. How did it feel to you wearing this or for your baby how did that go? Great content about bamboo and now I have better picture about the benefit of fabrics made from bamboo. I realized it is eco-friendly to produce and much softer than traditional cotton or lycra. I enjoyed reading your articles and I did have undergarment made of bamboo which really feel comfortable and quick dry too maybe in future I need to try T-Shirt made of bamboo as well. Thanks for sharing your thoughts and views plus with what you already have benefited from with the Bamboo clothing. As you already know they do feel comfortable and certainly are quick drying as well. Now that you have a post about this you can always click those images above and select your T-shirt as well. So Enjoy all the Bamboo clothing and know your skin will be happy for it. What a versatile plant I used to have a pair of bamboo socks that I had received as a present before they were the most comfortable socks I had ever worn. Did not know there were so many different things made out of bamboo though until your article. I am interested in the sheets. Have you had any experience with them yourself ? If so how did they hold up on washings ? As Christmas is coming up I bookmarked your store. Thank you for the visit yes they are super comfortable I too didn’t realise how comfortable they were until i got my pair of socks as well. I do have the bed sheets as well and found them to be so comfortable and relaxing with no issue in the wash. but you do need to make sure when washing you don’t add harsh chemicals such as Chlorine bleach as this can weaken the Bamboo fabric but other that careful washing as you would with many other types of material it will last a long time. I have had my sheets for just over a year and they are still just as comfortable as when I got them. Definitely bookmark this site as Christmas is coming this will really be a great and welcome gift. As changes come along I will add more on my site as they come. I had never really thought about the health benefits of using bamboo in clothing or items like toothbrushes. I use a bamboo pillow as I have mild asthma and allergies to dust and pollen, so it makes sense to use bamboo in other products for the same reason. I will have to look further into it. Thank you for the visit and comments. Yes guess many would not realise that you can have toothbrushes from bamboo. not to mention the greater benefits as a result of using them as well. I too have a Bamboo pillow which is so comfortable and very breathable as well. Certainly worth having especially with any breathing issues. Hi Andre and thanks for such an educational post. I have lived for quite a long on this wonderful planet Earth but never heard about bamboo clothing. Everything you explained about the benefits of this material for clothes is just amazing. It is no doubt that it is Eco-friendly material and so on. I have a couple of questions which I missed. Bamboo is a fast-growing plant, so it’s not the lack of where it grows. Why are there so few of these clothing products? How do bamboo clothes feel in the washing machine? I mean, how durable it is? Hi and thank you for the comment. Yes it is very Eco-Friendly and has been there for a while but it now becoming more in the limelight these days particularly with the types of fabrics that are not so friendly both to the environment and especially to the body. It is great for those with sensitive skin as well. I guess now is the time to expand it’s benefits and that is what I am working on. However if it is heavily soiled can be used in warm (not hot) water and left to soak for about say 15 mins in a gentle detergent before washing. Bamboo is more resilient than Cotton and Lycra and maintains it softness even after washing. So it will last longer and still maintain that soft feeling to the skin. As for drying best to air dry as high heat can also affect the fibres hence the cold wash.
Hope that answers your questions and thank you for that as well.